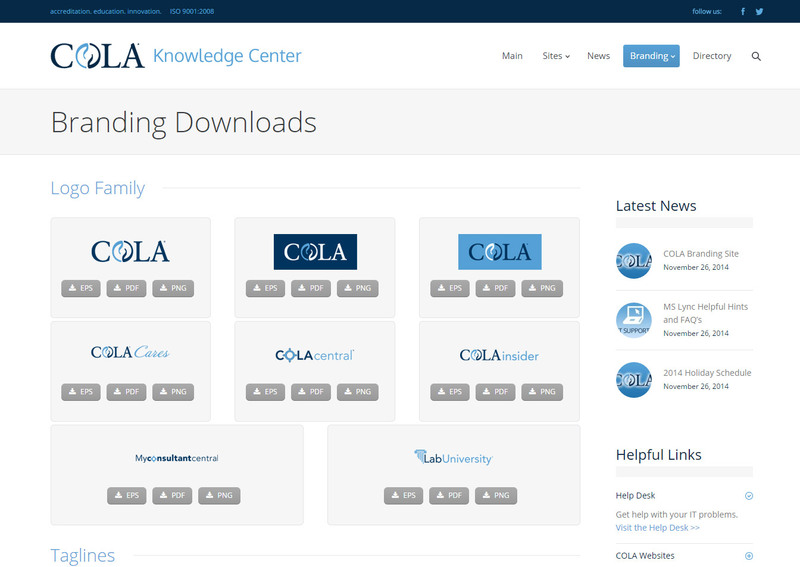 COLA is the premier clinical laboratory education, consultation, and accreditation organization. Their services enable clinical laboratories and staff to meet CLIA and other regulatory requirements, act in accordance with Quality Systems, and provide the best possible patient care. 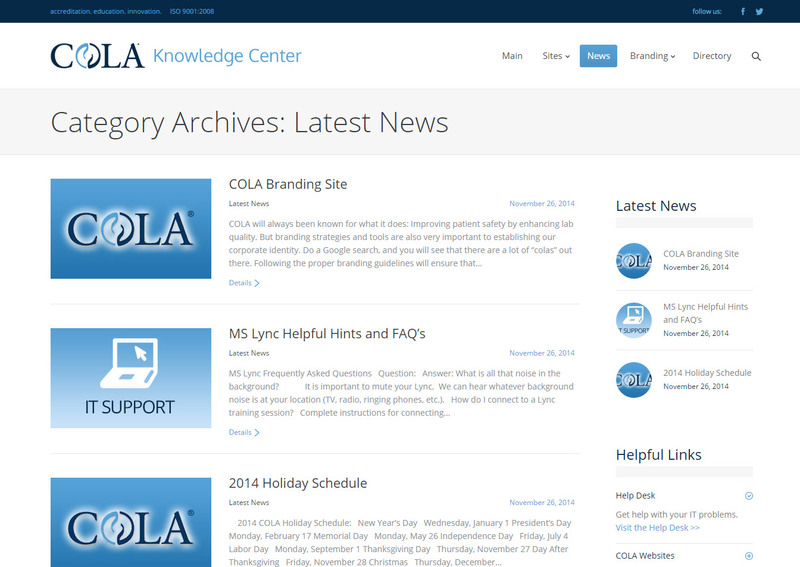 COLA was in need of providing a better intranet resource for their staff that is often working at locations throughout the country. Providing timely news, industry information, regulation updates, access to staff directories and branding guidelines were all items that were needed. NextLOGiK provided a WordPress site that is password protected and allows for the various staff members to login and access the information they need. 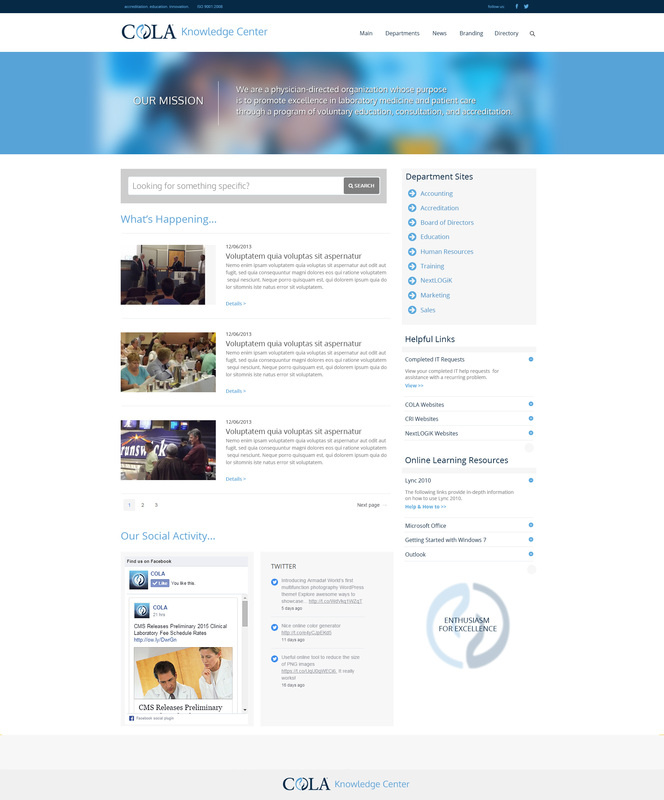 The design is responsive for mobile devices and works with their corporate brand standards.